What happens to you, when you feel panic and confusion? Different things happen for me, sometimes I feel paralyzed and sometimes I know one small thing to do that just might help. This morning, I thought of the just one small thing…..it doesn’t guarantee that there are answers but I’m pretty sure they will come. I am so blessed to have the sacred space of the Peace Chamber that I can sit inside of to pray, chant or drum. I come here. This morning I drummed and did prayers to bless the Chamber and to ask for help. 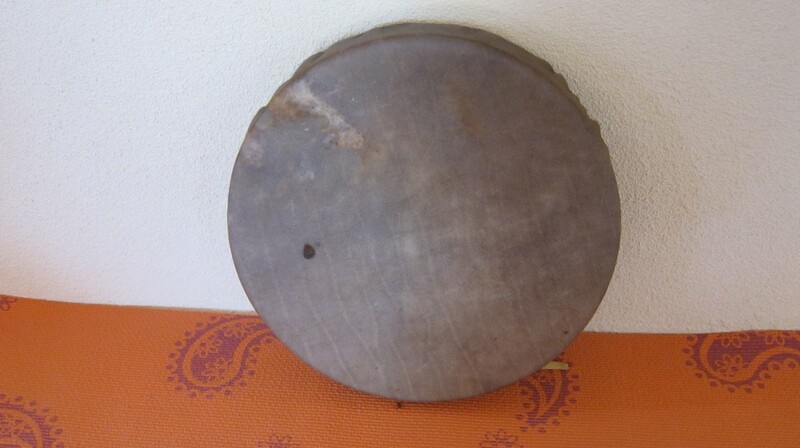 I used the drum I just made with Buffalo hide and Buffalo calls the energy of planting and it opens a connection to the Ancestors. It seems today, there was a need to receive comfort and guidance from them. Answers to all the questions might not come instantly, but in the doing comes the knowing that the answers will come. So find a place that is Sacred to you, it might be inside or outside…..your altar or your favorite Tree, take a drum or rattle and just sit and make the sounds until the mind clears or calms so you can see the answers when they appear. Blessings on your Day. Last weekend I went to a place I’ve never gone before to do my Sun/Moon Dance. I knew a few people, maybe 5 or 6 of the 40 or more that were there! None-the-less, even though I did not know all of the people serving or Dancing it was still family, we were still connected. It is that way really whether we are at a sacred ceremony of out in the world, we just ARE all connected. When we participate in Ceremony we get to experience that connection with Divine and with each other easily because we’ve all come together to experience Divine! But I say, it is just as easy when we are home and out in the world. We can look at all the people who cross our paths knowing we share the same Divine Spark and treat each other accordingly, with respect and kindness. In a Dance you see the pattern as we move up to and back from the Center, it is beautiful to watch each Dancer as he or she struggles or experiences joy or laughter or tears. 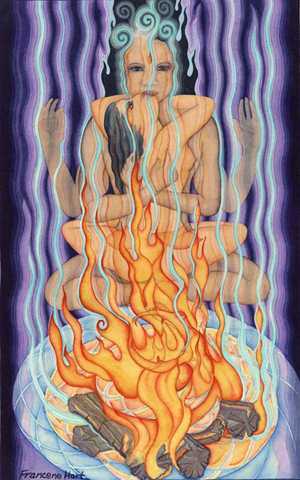 It is their authentic expression as they give themselves over to reaching for Great Spirit through their effort. It is a gift and an honor to make this effort, for ourselves and for all the People. If you can, if you are called, listen to your heart speak and say YES. Go Dance or do Vision Quest. Do whatever it takes to foster your connection to Great Spirit and to all the people in your life. Things still happen, scary things or disturbing things. Having the connection to your brothers and sisters does not mean that the answer to every query is yes, sometimes it is no and it is important to listen and honor the no as well as the yes. I am grateful for each of you no matter how well I know you….we are connected. Aho!